I own ONE mixing bowl. We go way back, more than 35 years. I think I have used it almost every day of my life since it first arrived. It’s simple, a medium size according to the cookbooks, and it is glass (my mother used to say, “good food cannot be made in a plastic bowl”). It has lived a simple life, always on the same shelf, and it has served me well. Some might think that the reason I have only one mixing bowl is because it isn’t used often, maybe I don’t cook or bake much, not true. I cook every day, some days for up to 3 hours. I cook from scratch, and I make two new recipes every week. Some of my meals are simple, some are complex, filled with many ingredients, several steps and processes, and many call for a great deal of mixing. So, I mix and wash the bowl, mix and wash the bowl, mix and then mix something else that’s similar without washing the bowl, and if I have to leave something in the bowl for awhile, I make something else while I wait. I never think about buying another bowl; I simply don’t need to. There is something beautiful about slowing down, about washing the bowl in between the times I need it, about taking time to pause, to remember what I am doing right now, right here, and to remember the why, the reason I am cooking, the people that will be nurtured with love and fresh food, and the time that will be spent together at the table. Friends and strangers alike have shared my food, and our table, and we have enjoyed more amazing meals and food experiences than I can recall. I have cooked for one and for many, and always with my one mixing bowl. I cook slowly, with intention, and I concentrate on the goodness that is going into what I am making, on the gratitude that comes from being able to afford the ingredients, from being well and strong enough to cook, and from having someone to cook for. 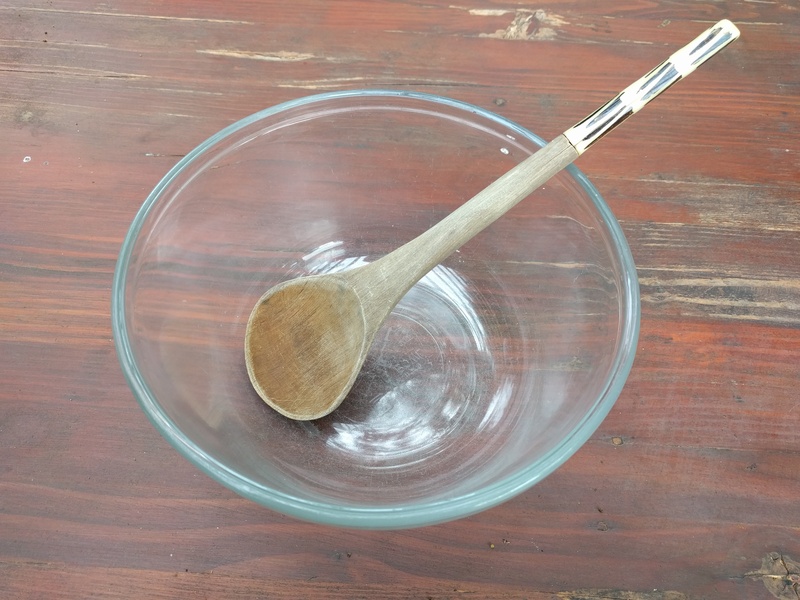 If that bowl could talk… it would tell you stories of purposeful mixing, of cooking with care, and it would tell you that you can really do only ONE thing at a time and do it well, that we already have all that we need, and that more or many is not always better, sometimes it’s just more. The magic bowl of bounty overflows with the love you pour into it.